Add something a little…different to your coffee. Like, for example, the colour, the life and the excitement of Brazil! Bodum’s Brazil French Press Coffee Maker is simple, easy to use, and – most importantly – makes wonderful coffee that will inspire you to greater things! Forget going to work this Monday morning– grab your colourful shorts, your swimming costume and your toothbrush and get on the first plane to Brazil! Just make sure you don’t forget your Bodum Brazil Coffee Maker! Made from matte-finish polypropylene and glass. Handle and lid especially designed to resist heat. Glass beaker has a lip for easy pouring. 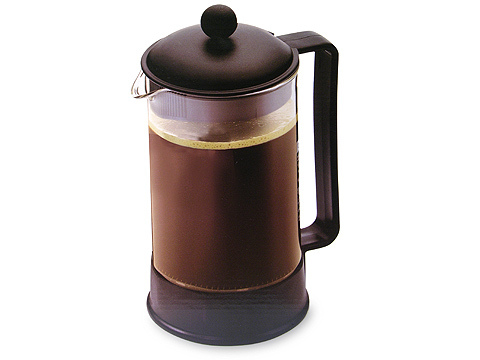 Capacity: 1L – 8 cups.